I saw this Reading My Country Tag on Pretty Purple Polka Dots blog and really liked the idea. This tag originally was created by Booktuber Cook Read Create, but like Aoife, I’ve decided to do it as a written blog. What country are you going to talk about? I’m going to think about picture books here and ones which I enjoyed reading to my girls when they were small. We all liked the Katie Morag stories by Mairi Hedderwick featuring the wee red-headed girl who lived on the fictional island of Struay. 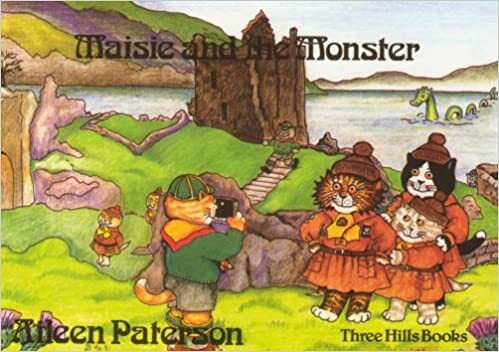 We also enjoyed the Maisie books by Aileen Paterson about a cat who lives in Morningside (an affluent area of Edinburgh) and has all kinds of adventures. I think my favourite was Maisie and the Monster where Maisie heads off to Brownie Camp and makes friends with the Loch Ness Monster! This is actually quite hard. I can’t think of many Scottish books we read at school which is pretty bad. Going by my own children’s school experience, I think that has changed quite a bit now and there’s more emphasis on Scottish fiction. One I do remember reading probably for Higher English was the trilogy A Scots Quair by Lewis Grassic Gibbon. The most well known of this trilogy is Sunset Song which was filmed as a tv series in the 1970s and more recently made into a film in 2015. What is a book set in your favourite area of your country? And/or what’s a book set in a place you’d like to visit in your country? I love visiting the various islands off the west coast of Scotland and really enjoyed Peter May’s Lewis trilogy. I think he creates a really good sense of place and enjoyed visiting the places mentioned in the books when there on holiday. What is a historical fiction book set in your country? 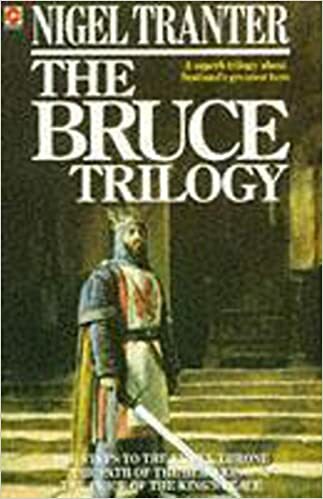 The Bruce Trilogy by Nigel Tranter. I seem to be choosing a lot of trilogies! Nigel Tranter was one of my favourite authors when I was younger and I studied this particular trilogy for my dissertation when I was studying for Advanced Higher English. And it didn’t even put me off! What is a classic book from your country? Oh there are lots to choose from Sir Walter Scott, Robert Lewis Stevenson, Muriel Spark, Sir Arthur Conan Doyle, Robert Burns and so on. I’m going to pick The Prime of Miss Jean Brodie. What is a book from your country that you haven’t read but would like to read? I’m going to choose a book here that I haven’t read because it isn’t published yet. 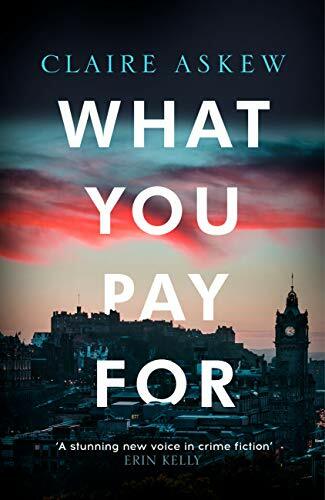 So this is a book which is due out in August this year and that I’m really looking forward to reading. It’s the second book from Claire Askew to feature DI Birch who lives just five minutes from me – we even use the same Chinese takeaway. I really enjoyed the first book as so much of the setting was so familiar to me. And it was a gripping read. What are some of your favourite authors or books from your country? 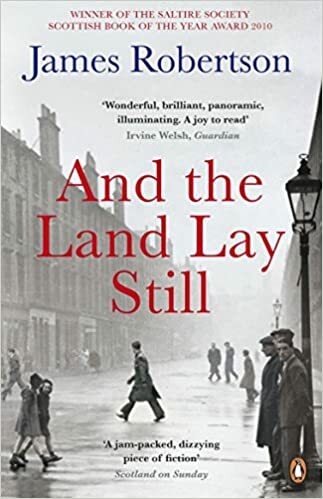 I enjoy books by many Scottish authors but am going to choose one of my favourite books from recent years: And the Land Lay Still by James Robertson. It’s described as being the story of a nation and is a sweeping epic novel covering the second half of the 20th century. His novel The Testament of Gideon Mack is also brilliant. So there you have my bookish thoughts on Scotland. Why not take part for your country? Please let me know if you do. What a wonderful idea for a tag! Thanks for sharing. 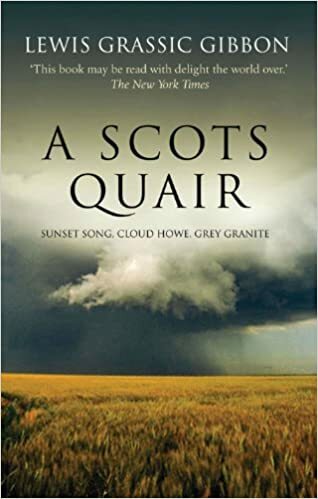 I want to read more books set in Scotland, I’ve never been. I’ve read The Black House by Peter May and I liked it but thought it would be more of a thriller. I’m Welsh and I don’t remember reading many books from Wales in school. I want to read more by Welsh writers too. I’d love to know your answers for Wales. Not really answering your clever questions. But, I will admit that “Outlander” has always been my Scottish guilty pleasure.